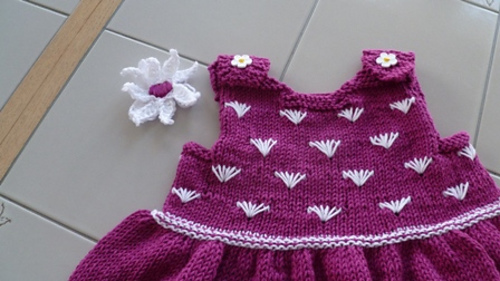 EU customers can purchase this pattern through my website. 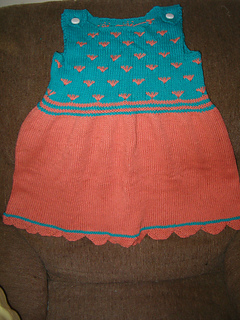 Please PM your Ravelry ID to have it added to your Ravelry library. 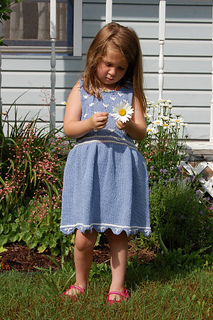 Delicate and feminine, this dress is perfect for summer parties, with scallops on the hem and daisies on the bodice. Made in an easy-care cotton blend in summer-sky blue with white accents, it is a dress you will reach for again and again. Don’t put this away after the summer – it will be just as pretty layered over a t-shirt for cooler weather. balls; CC: Swan, 1 ball for all sizes. You can find a discussion about this pattern here. 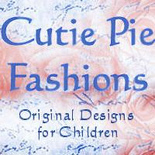 Cutie Pie Designs Bundle Sale!